Use the CADWorx command CONVERTSOLID to make these single lines display correctly. This tool can also be found on the ribbon at: CADWorx Plant I tab > Setup Size/Spec panel > “3D Solids” tool” (Shown below). After the tool does its magic, you should see the piping components displayed correctly. This entry was posted in CADWorx. Bookmark the permalink. Even i have been using cadworks. 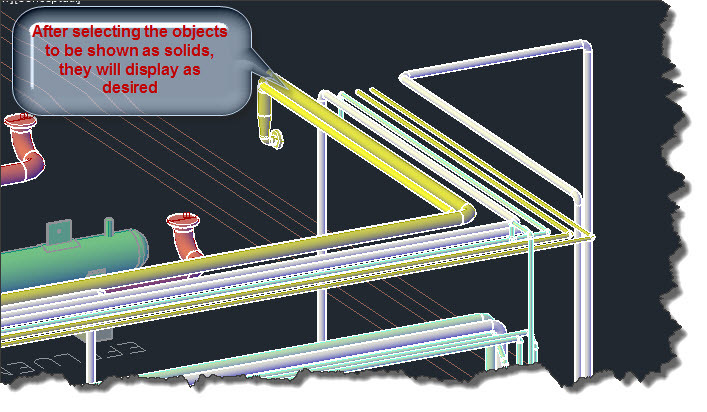 Piping designs are easily drawn and they are well understood when the 3d models of the piping designs are created. 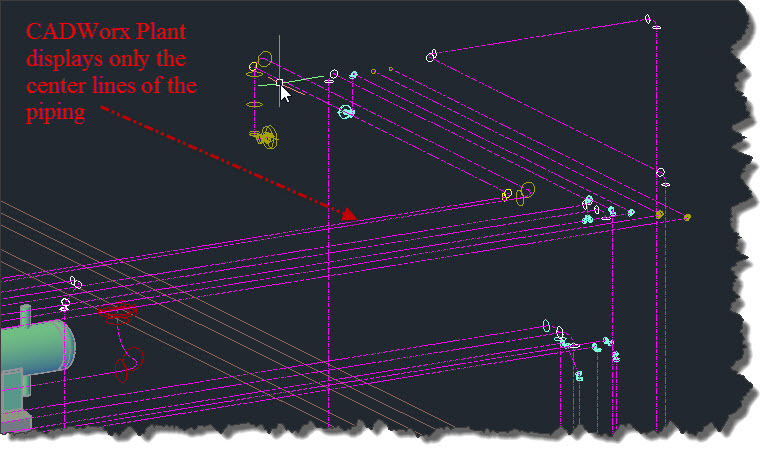 What if you can see the piping in CADWorxs 2015, but only as a single line in AutoCAD 2015? Intergraph isn’t very friendly when it comes to being able install Object Enablers. You may need to go through your CADWorx reseller to get it. How about when you cut a viewport and everything is fine in model space, but then In your viewport It’s all just center lines? What happens if the viewport is changed to Hidden or Conceptual and then you use the CONVERTSOLID command?